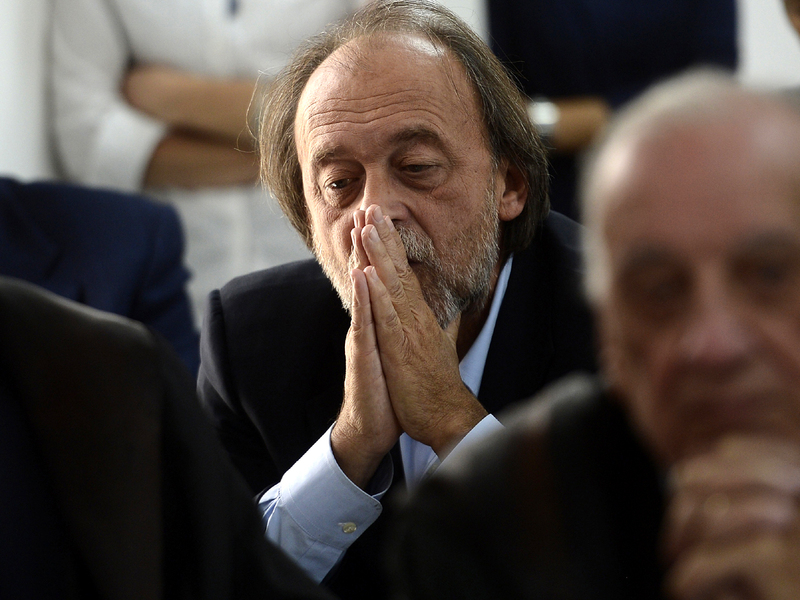 ROME Four top Italian disaster experts have quit their jobs, saying the convictions of several former colleagues for failing to adequately warn of a deadly 2009 earthquake means they can't properly perform their duties. A court on Monday convictedseven former members of Italy's so-called "Great Risks Commission" on manslaughter charges, giving each a six-year prison sentence. With the verdict, `'we understood why the Great Risks Commission has that name," a front-page commentary began in Corriere della Sera, a Milan daily. "The great risks are those to its members, as one deduces from the verdict." Senate President Renato Schifani has called the convictions and prison terms `'strange, embarrassing." Many scientists and commentators have noted that the court case failed to address a major cause of fatalities in disasters like quakes and mudslides: erecting homes, schools, hospitals and other public buildings on quake-prone terrain without the proper construction techniques or materials to make the structures more resilient. After the April 2009 quake, which left 308 people dead, many experts said that the 6.3-magnitude temblor wouldn't have caused such extensive damage if buildings been constructed or retrofitted to meet modern quake zone construction standards. Dr. Tom Jordan, the director of the southern California Earthquake Center, told Pizzey that the trial sets a bad precedent of holding scientists to unrealistic standards. "This trial has raised huge concerns within the scientific community because here you have a number of scientists who are simply doing their job being prosecuted for criminal manslaughter and I think that scares all of us who are involved in risk communication." In Washington, the American Geophysical Union described the verdict and prison sentences as `'troubling," and expressed concern that they could `'ultimately be harmful to international efforts to understand natural disasters and mitigate associated risk." `'While the facts of the L'Aquila case are complex, the unfettered exchange of data and information, as well as the freedom and encouragement to participate in open discussions and to communicate results, are essential to the success of any type of scientific research," the union, a professional and scientific organization with members from over 146 countries, said in a statement Tuesday.